The “Late Show” host brought back a Jones-like character called Tuck Buckford to parody Jones and Infowars in reaction to the news. 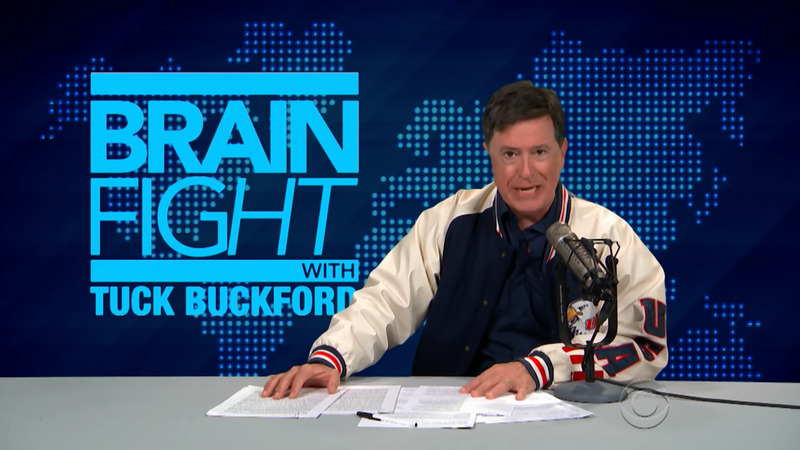 Stephen Colbert on Tuesday mocked Infowars’ host Alex Jones over the news that companies like Facebook, YouTube, Apple, and Spotify had kicked his show off of their online platforms this week. “OK, that is awful, but it’s actually pretty close to my message to Mueller: ‘You’re going to get him, or I’m going to die crying,'” Colbert joked, in reference to President Trump. Buckford, host of a show called “Brain Fight,” said he has been facing “similar struggles” to Jones.